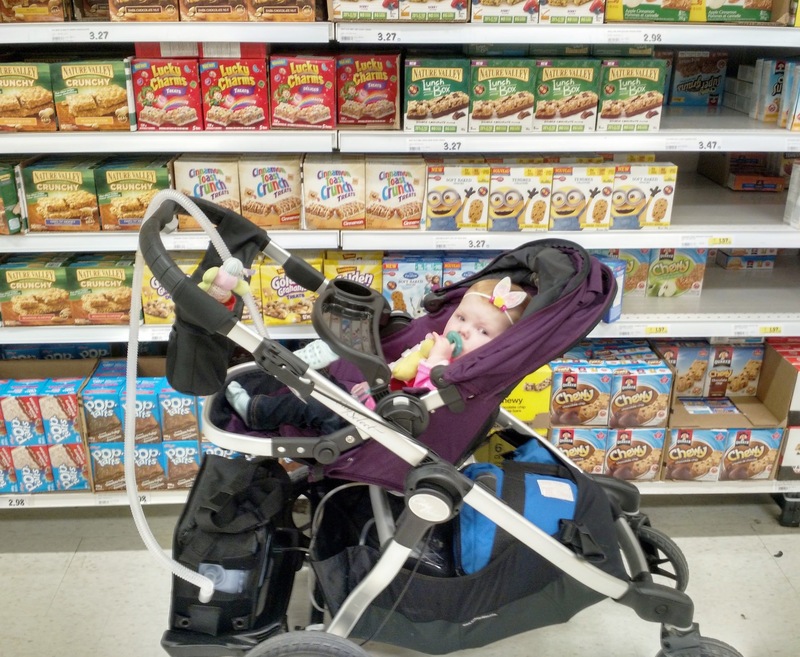 While this picture captures what looks like an everyday "normal" situation (taking your baby to the grocery store), this outting was an incredibly big deal to me – in fact, I would go as far as to call it a personal milestone. From the moment a trach was "put on the table", I immediately began to think about all the ways it was going to impact our everyday life and how things would change for Nick and I. Simple mundane things, such as going to get groceries with your child in tow was going to dramatically change, and that idea frustrated and even infuriated me. 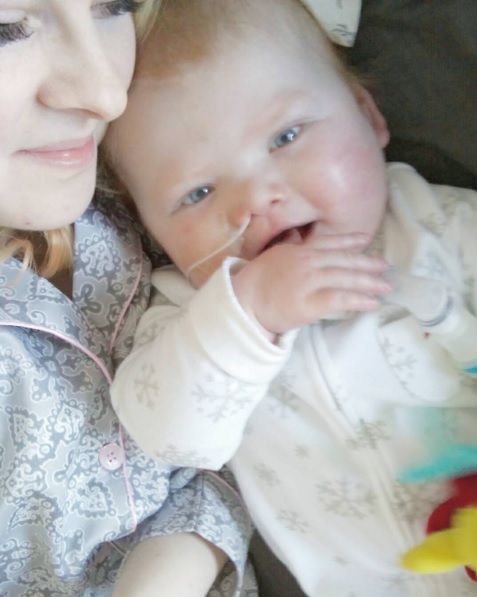 For months I prayed so hard that Evanna would recover from her open heart surgery so we could return to a somewhat "normal" life, but every failed extubation continued to rub it in my face the fact that normalcy was getting further and further from my grasp, and the life we knew would no longer exist. Not only was it just the logistics of "going to the grocery store" going to change (it currently takes two people and a lot of coordination to load Evanna in our vehicle with her heavy home ventilator & large oxygen tank attached to her), but I was scared of what we would encounter being out in public. Up til now, our outings have remained exclusive to hospital appointments (where we blend in among many other medical families), doctor appointments, church (where everyone knows us and our journey), and our parents houses. We live in a world that is ruled by materialism and looks, and people sometimes can lash out and act inappropriately to unfamiliar situations and the unknown. Overall, I wad scared (and still am) to hear the question "what's wrong with your baby?". You may think I'm slightly overreacting, but I'm apart of several medical mama Facebook groups, and stories of those outings where people point, stare & make mean comments do exist, and unfortunately I don't have the thickest skin in the world. I have gotten pretty good at learning to advocate and be my daughters voice over the past few years, and I absolutely love sharing our journey, because after all – it's one heck of a story! But online is different from real life. Online, I'm able to take the time to explain things and write out "synopses" to people who comment or send me a message. However, in real life, I feel like I may not get that opportunity or time to do that out while in public (I know I don't owe people explanations...but that's just my nature), and it's something I personally struggle with. Time for a blog update – wouldn’t you think? We’ve been home officially for 4 months (--> as of yesterday), and while I sometimes wish things would happen quicker, when you look at the bigger picture, so much has already changed and Evanna has made some pretty incredible progress. The end of December was basically spent enjoying the holidays with close friends and family. We squeezed in a few appointments in anticipation for Evanna’s GTube surgery after the New Year, and so we saw Cardiology for an ECHO (I’ve seriously lost count with how many of these we’ve had), and made an appointment to see anesthesiology to complete a consult, as this would be Evanna’s first surgery here in Calgary (and on paper, she freaks the living day lights out of doctors, so they were wanting to take all the precautions necessary before we proceeded with the surgery). My favourite holiday moment was definitely Christmas morning. I told Nick that the one thing I wanted to do was hang out as a family in our bed. I know that sounds cheesy, but due circumstances, it’s currently not very easy to move Evanna around the house. While her equipment is all piled on a cart, there are lots of cords and tubes that hang from it (and things that need to remain plugged in such as her humidifier), so the cart isn’t very movable at the moment – but hopefully with time, and as we work towards getting Evanna off the ventilator, that won’t be a big issue anymore. January consisted of me going back to work (technically I worked two days at the end of December after Christmas), and getting into a new routine. 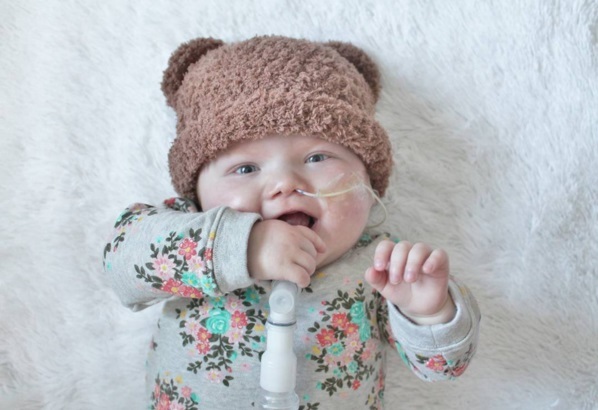 On January 14 Evanna had her GTube surgery at ACH here in Calgary, and the procedure went incredibly well. I know the anesthesiologist expressed a little worry going into it (even he had the most cardiac experience out of all his ACH colleges, as he use to work at Sick Kids in Toronto – another major pediatric cardiovascular centre here in Canada), but he was super thrilled and even commented on how well Evanna handled the general anesthetic after it was all said and done. I was most excited about Evanna finally having a “tape free” face and the fact that Nick and I don’t have to shove a tube down her nose 1-2 times a week, causing Evanna to cry and get extremely upset (to the point where she would turn blue and desat/drop her oxygen levels) – not a fun experience, let me tell yeah. After the GTube surgery, they took Evanna down to the CT lab and performed a Cardiac CT (still under general anesthetic) so we could see the state of her collaterals. She handled the procedure well, but we didn’t get the results until the next day, and while we discussed the results with a cardiologist that we knew, we had to wait about a week before we could actually talk to Evanna’s primary cardiologist. Basically we didn’t get the news we were hoping for but we weren’t surprised either based on past cardiac caths and imaging. Basically they can no longer see blood flow through Evanna’s left collaterals (MAPCA’s), meaning that they are occluded (closed off). However, the 3 collaterals bringing blood to her right lung are doing alright, so our surgeon would like to leave them alone at this point in time and just continue to monitor them (hoping they will continue to grow with Evanna). So….what does this all mean? Well unfortunately we actually don’t know in regards to her future and our medical team can’t really give us a plan/course of action. We DO know that Evanna is currently stable, and so we’re kind of just going with that. The situation does mean that closing Evanna’s VSD (hole between the bottom ventricles of her heart) isn’t a possibility anymore, and we currently would only do future open heart surgeries to replace her conduit as she grows out of them – which will probably happen sometime in the next 2 years (just my best guess – so take what you will from that). Though we’ve had serious conversations with our cardiologist in the past about the “if’s”, the fact that this is now a current reality, means we had to retalk about a few things and rehighlight legitimate concerns and actual possibilities that we may now face over the next several years. When it comes to a unique, rare and complex heart like Evanna’s, there isn’t literature out there that can tell us what is going to happen and NO cardiologist or cardiovascular surgeon can predict what the future has in store for Evanna and our family. The collateral’s (MAPCA’s) that brings blood flow to Evanna’s lungs basically do not contain DNA to GROW and technically they aren’t meant to be there. But they exist, and essentially they can create more problems if they stenosis/occlude (which have already happened to her 2 left ones). We just have to hope that her right ones will be up to the task and will continue to grow with her heart. Well what happens if they don’t grow and begin to stenosis as well you may ask? Well to be frank – it means that Evanna will become/be considered terminal and will be put on comfort measures. What about a transplant? I get that when things go wrong with an organ, you just replace it. Well as one friend described it – the normal “hookups” to replace Evanna’s heart don’t exist. Instead of a nice pulmonary artery to hook a new heart up too – her body made little collaterals instead – remember? Basically her heart and lungs are UNIQUELY intertwined, and they can’t hook up a “new” normal heart to her unique lungs (hope I’m not losing you here). Well, what about a lung AND heart transplant? While this may be an option one day, this isn’t something Evanna wouldn’t be considered for at this point in time for several reasons. First, a DOUBLE organ transplant would be unsurvivable at her age. 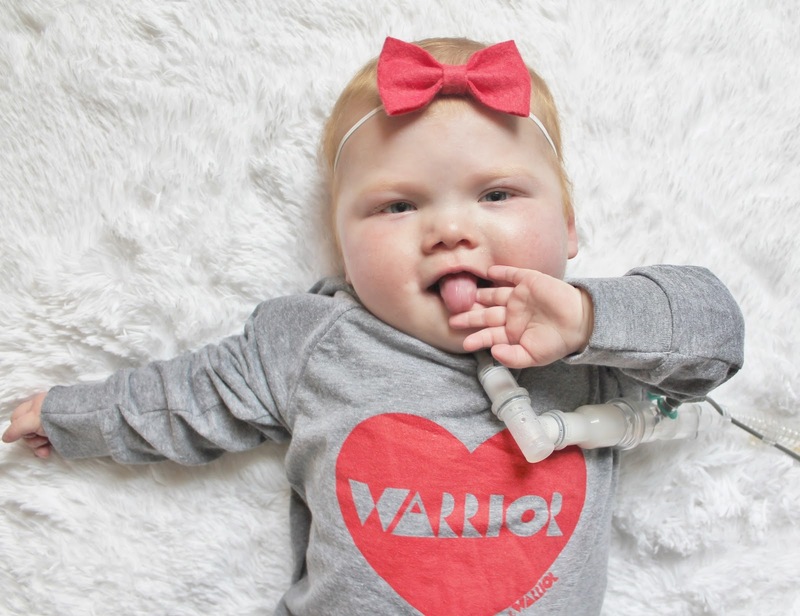 Both a heart and a lung transplant individually are a big deal on their own (particularly lung transplants under the age of 3), but combine those two together, and it’s just too much on their tiny little bodies. Second, Evanna’s airway is still pretty weak (the reason why she needs a trach and vent), and so that would really count against her at this very moment in time. Finally, if I can remember correctly from past conversations, I don’t know if they’ve ever been able to get to a point to do this kind of transplant on a MAPCA child in the past….but definitely a question I plan to ask next time I see our cardiologist. So what does this all freakin mean? Well, at the moment, not much. Evanna is doing well, and so they will just continue to monitor her and concentrate on problems as they come. We are still in a state of recovery, and her respiratory issues are still our biggest day-to-day problem. She is getting stronger, and we are already planning to start decreasing her vent settings this spring and I truly hope we can start to “sprint” her off the vent by the end of this year for short moments at a time. I guess what I am trying to say and relay is that we’ve had to come to terms with the real reality that things could go downhill at some point, and with our extremely limited options, we may lose Evanna. While the odd physician doesn’t feel we have “grasped the severity or concept” (it’s been stated by one doctor and written by another resident in Evanna’s medical chart), thankfully our primary medical team (ie. Cardiologist & Respirologist) knows that Nick and I understand the situation and have a handle on it, and that it’s okay to not dwell on it when things are going well and we may never have to get to that point. We will continue to look forward and continue to make decisions that are in Evanna’s best interest – always weighing out the risks and benefits. Her quality of life is extremely important to us, and we will continue to keep her best interests at heart whenever a decision is placed before us. Let’s talk updates and MILESTONES!!! Since discharge we are already off two whole medications! One diuretic (Aldactazide) and her sodium chloride (to replace the sodium chloride that the Aldactazide was causing her to lose). Evanna is still on a lot of Lasix (1mL every 6 hours), but we plan to start weaning that starting in April. There are some meds that she’ll need her entire life like aspirin, and maybe even iron (because her oxygen saturations are lower, her body creates more red blood cells – called Hemoglobin to compensate her lower oxygen saturations and help circulate the oxygen that she does get, and iron helps with red blood cell creation), but those are really minor in my opinion (heck, physicians like to prescribe aspirin to healthy adults as a preventative measure). 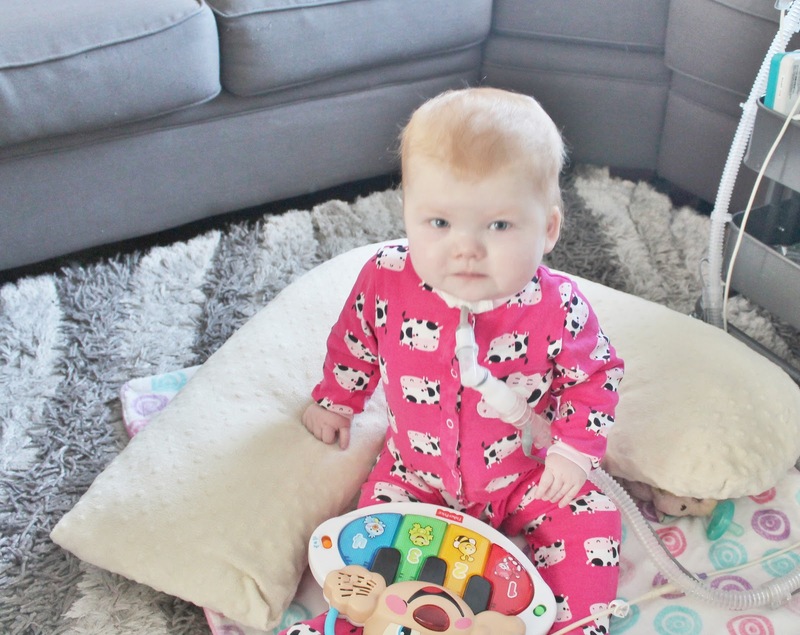 As for physical milestones, Evanna is finally sitting up (as long as the nursing pillow is behind her lol) on her own and getting better and better at it every day. Her personality is really starting to come out, and she just continues to be a very content and happy child. Though we’re less than two months from her second birthday, we had a great conversation/consult with a private OT/PT several weeks ago about her development in general (ie. physical, mental, cognitive, etc), and they stated something that really helped me not worry so much. 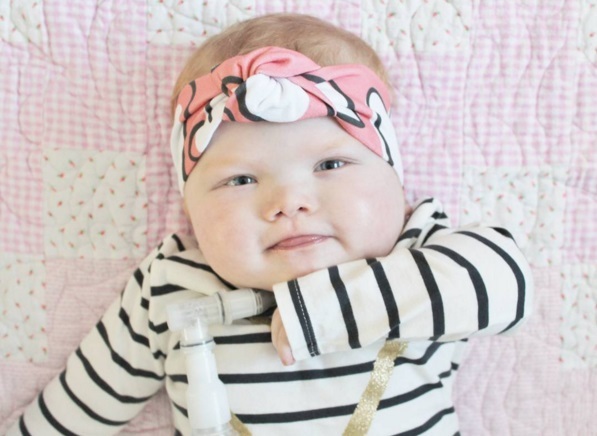 They said to treat her discharge as a starting point and as if she was only 1 month old. Everything Evanna learned and was doing before her first open heart surgery doesn’t matter and essentially lost at this point, and of course due to being on heavy sedation medication and confined to a hospital bed for over a year, Evanna wasn’t able to develop at all during that time, and so while her age would suggest that she’s a toddler, she is still in a sense a “baby” still. Just from observing her during our meet & greet meeting, the therapists said her movements (ie. how she grabbed and held her soother) and the way she was reacting were very “baby” like and definitely not like that of your almost 2 year old. However, in saying all this, the therapists said this is all completely to be expected and even normal given her extensive history. With the right programs and continued effort on our part, they feel Evanna will eventually “catch up”, but that it’s going to take a very long time (we’re talking years here). Even when playing with my nephew who is almost a year younger than Evanna, you can see just how behind Evanna is, and how much work we have to do. Still despite how heavy our load feels and how much we have yet to accomplish (milestone wise), our primary medical team remains extremely pleased with her progress and ecstatic at how well Evanna has done since we’ve been home. 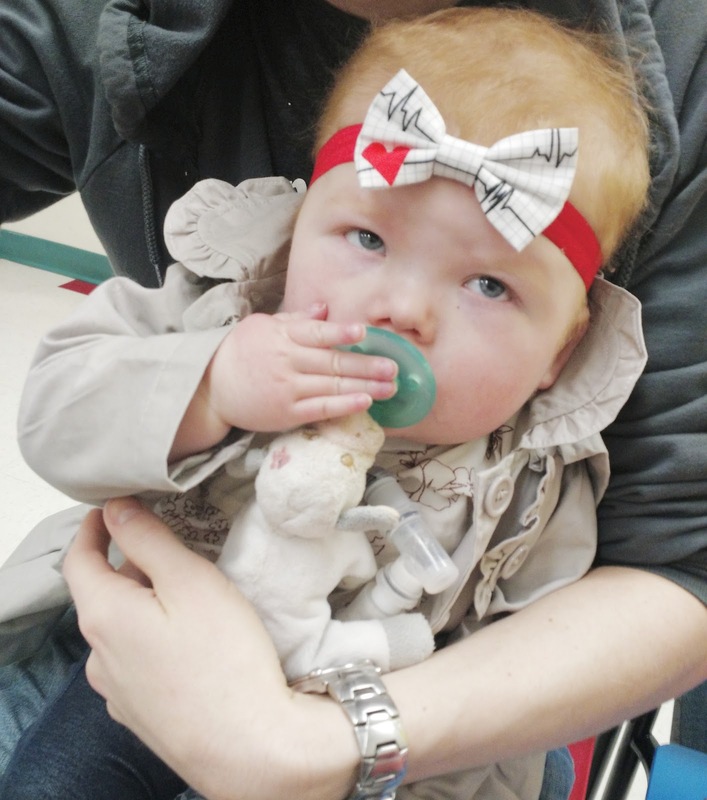 When we were discharged, many of our care providers warned Nick and I of the possible “bouncing” a child of Evanna’s complexities could do in and out of the hospital, but so far we’ve thankfully been able to avoid that. So what does the next few months look like for us? Well our contract for specialized services was recently finalized and we will be working with an additional occupational therapist and be seeing a speech & language therapist to work on feeding and building communication skills (ie. baby signing). 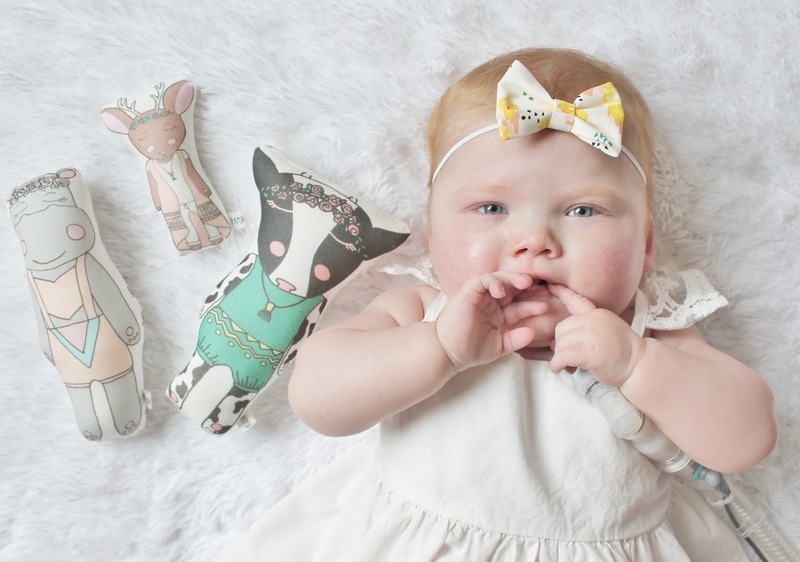 Lately Evanna has been trying to do her best to communicate her needs to us (like when she needs a suction or wants a new soother), and we just want to make those signs more concrete. At the end of March we will finally see the immunologist (they’ve been trying to see us since last April! ), and if we’re given the “all clear”, will proceed with getting Evanna up-to-date with her vaccinations. Due to receiving blood transfusions and her 22q diagnosis, we’ve had to hold off on those particular vaccinations, but now that things have calmed down and it’s been over 5 months since her last transfusion, we hope to finally get her caught up! In April we are booked for our first Calgary bronchoscopy!! Evanna has had several of these done in the past – but they’ve all been done up in Edmonton while we were in the PCICU, and we feel it’s time that Calgary’s team gets their own look down Evanna’s trachea. We then think it’s time to start working on decreasing some of her ventilator settings and see what Evanna can handle. So after the procedure, they will take Evanna back to the PICU and play with her home ventilator and see what Evanna will tolerate. In the spirit of “killing multiple birds with one stone”, we’ve been able to coordinate with general surgery clinic and we will be switching Evanna’s PEG GTube for a “button” GTube while Evanna is under general anesthetic for the bronch. Then, because our cardiologist is super awesome, has decided to try and save us another hospital appointment, and will do an ECHO during this admission to get a feel for how her heart is doing. So basically our quick April hospital admission is going to be super busy trying to get as much accomplished, and be as efficient as possible touching three the major areas (respiratory, GI & cardiology!). Hopefully after that we can just relax and look forward to celebrating Evanna’s 2nd birthday at the end of the month. Finally just as a quick side note/update, as I’ve had a few people ask me – the new house is finally getting under way! We haven’t really had the opportunity to go and see the progress for ourselves as we’re just a little too busy, but the builder sales rep has graciously been keeping us somewhat in the loop and even sent us a few photos of the basement being poured a few weeks ago. At this point they gave us an early summer possession, but Nick and I are guessing we won’t get possession until the end of summer (which we actually prefer…). I’m excited to move into a new place that will give us a bit more space and better natural lighting (the downside to townhouses). The thing I’m looking forward to the most is that the living room will be at the back of the house vs the front. During the day, Evanna spends practically all of her time there, so when people come in and out of the house during the winter, a cold blast shoots across the living room and we won’t have to deal with that in the new house. So today’s date marks another significant “milestone”. Today is Evanna’s 1 year “tracheo-versary”. It was one year ago that we finally agreed to proceed with the trach after almost 5 months of Evanna being intubated, and came to terms and were okay with the impact it would make on our lives. While it was supposed to be our “ticket home”, unfortunately Evanna had other plans and continued to throw curve balls our way following this procedure, basically delaying our discharge for an additional 6 months after this surgery. Buttt it’s still the reason we were finally able to go home back in November. Click HERE, HERE and HERE to go back and read those original posts! It’s funny, this one probably one of the most basic and routine surgeries Evanna has had to date (heck, this procedure is routinely done at bedside for adult patients), but it was literally the hardest consent forms that we’ve had to sign and probably still has the biggest impact on our day-to-day lives. In the pediatric trach community, trach mamas often say it was “the best decision they’ve ever made” and they “love the trach”, but I guess I just have a hard time agreeing with those exact statements. I get messages once in a while from other medical families asking for my opinion on this particular topic and if I’m glad we did it (because they are facing the same decision for their child), and I guess what I tell them is “while I don’t love the trach, it’s better than being intubated for a long period of time and it’s what allowed us to take Evanna home – which is the most important thing”. For the most part we don’t think about it on a day-to-day basis anymore –it’s really become our new normal, but at the end of the day, I still hate that we have to deal with it and small problems it creates. Things have gotten better, and I know the situation will only continue to get easier and easier as time goes on, but I definitely look forward to the day when we can decannulate Evanna – even though it might still be years away. Heck, just getting to a point where Evanna can sprint off the vent during the day will make our lives so much easier and hopefully that will happen in the near future. Despite everything, I still feel incredibly blessed. We have access to a great homecare program (I’ve have finally been able to learn to look at the positives of homecare), we have some wonderful girls/nurses working for us who have been incredibly flexible with our family’s schedule (and are great with Evanna), our friends and families have been incredibly supportive of our needs, and of course my amazing husband who goes above and beyond for me every single day. 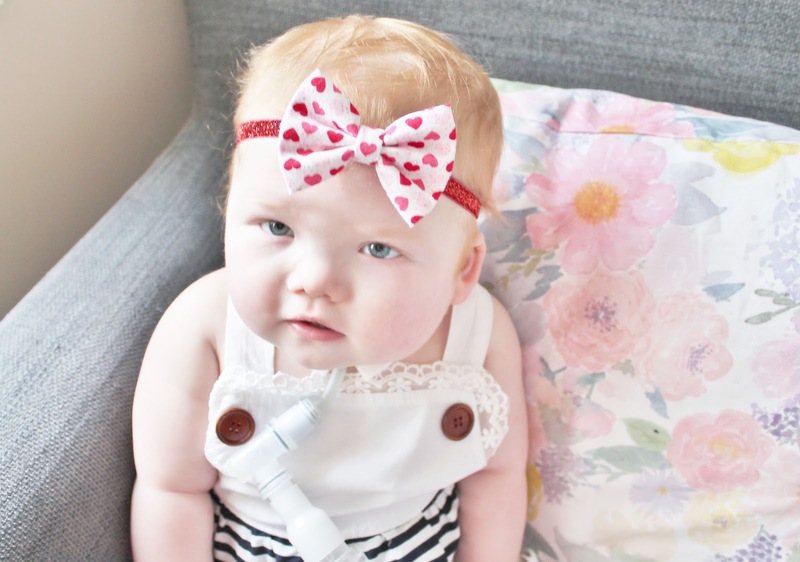 While Evanna’s trach and vent can be difficult to deal with on some days, it has also been a blessing. It has given Evanna the chance and opportunity to really grow, thrive and develop wonderfully and been a wonderful tool to give her the support that she currently needs. I get asked ALL THE TIME of when she’ll get it out (been asked twice already this week), and my answer is: while we hope to decannulate Evanna in a couple years, it’s really up to her and when she’s ready. The respirology and ENT teams at ACH will always continue to move forward and push Evanna, but they can only push to what Evanna can handle. If we push too hard, it could cause Evanna to get sick and land us in the hospital in respiratory distress. Spring is around the corner (so “RSV season” will come to an end), so I am excited to see what progress can be made over the next 6 months before winter returns. Thanks for reading this incredibly long post. I’ve been meaning to do an update for over a month now…but life likes to get in the way. Besides family updates, I have some ideas for different types of posts (just some topics I feel passionate about), and I hope to find time to get some of those written up and posted.